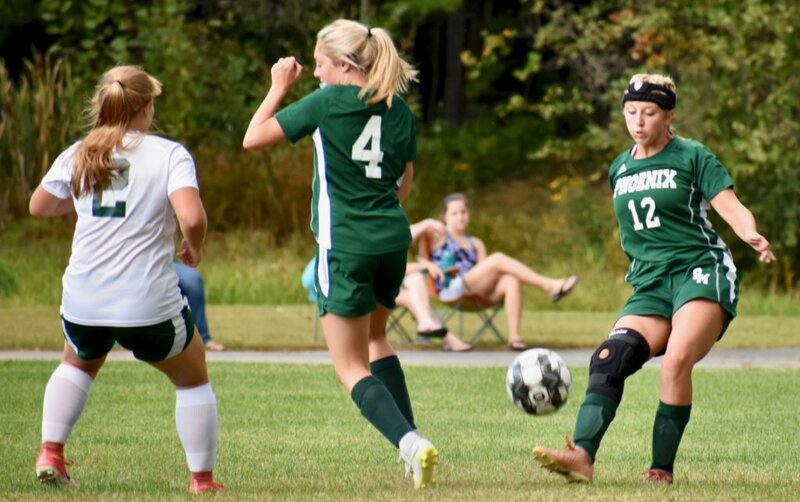 JAY — Two goals on a pair of penalty kicks and a red card issued to a key player — which forced Spruce Mountain to play down a player — put the kibosh on any opportunities for the Phoenix to rally in the second half. 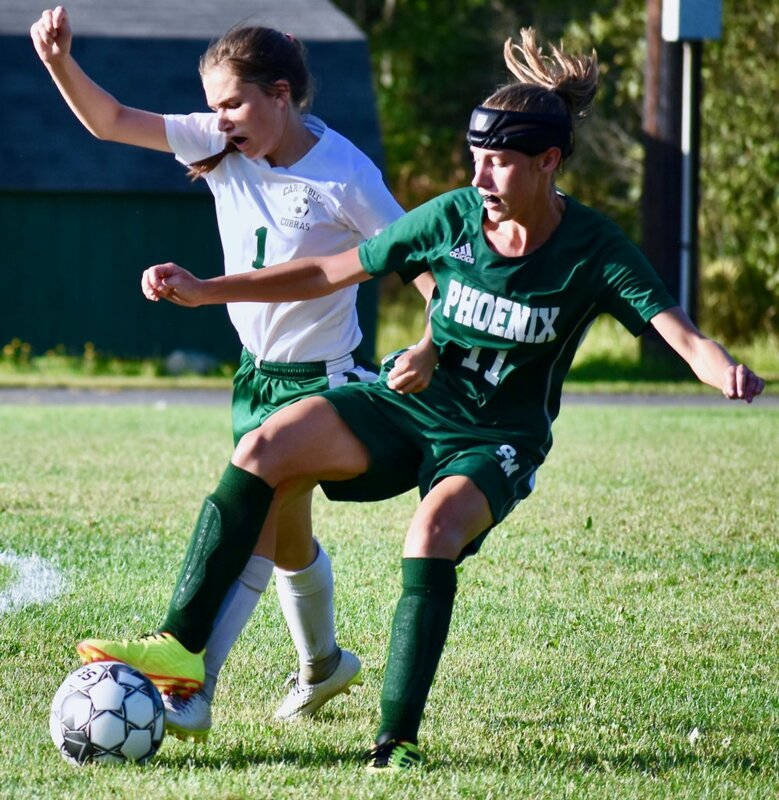 The Phoenix came out flat in the first and the Carrabec Cobras (2-3-1) played stifling defense before pulling away with a 2-0 victory in a girls’ soccer game on a humid Monday afternoon. It was Spruce’s (5-1) first loss of the season. 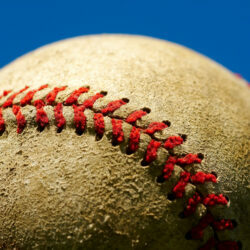 The victory over Spruce Mountain surprised Carrabec coach Heidi Vicneire. “We were expecting to come here and play defense,” she said. “But we communicated. Did you hear the game? My girls were constantly talking to each other. Another pleasant surprise was freshman goalie Aislinn Slate, who is a novice to the position, but stepped up to fill in for the injured Ashley Cates. Slate answered the call and made a couple of big saves. “I am so proud of my girls,” Vicneire said. The Phoenix’s offense sputtered against the Cobras’ relentless defense, which eventually led to a pair of penalty kicks. 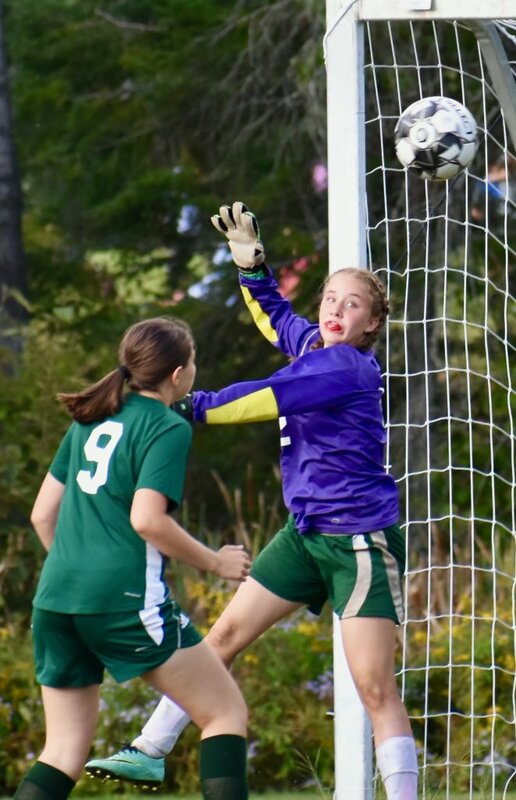 Sure, Spruce Mountain resurrected itself in the second half and made some choice shots on net, but again, Carrabec’s stubborn defense was there to turn away the Phoenix. 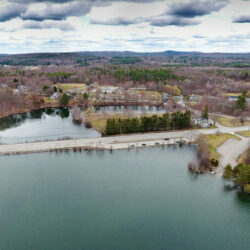 “There is not much you can do about it,” Spruce Mountain coach Bill Acritelli said. “(Playing down a man) kind of takes the wind out of your sails. A handball penalty in the first half with about 15 minutes left provided the Cobras with chances to score — and they did when Annika Carey slipped the ball past Spruce goalie Annabelle Collins for a goal. Carey’s goal held up against the Phoenix until the second half, when junior Grace Harmatys was issued a red card for a slide tackle that ended up injuring a Carrabec player with 19:33 left in the game. Harmatys was forced to head for the bench and the Phoenix had to finish the game with 10 players. Due to the infraction, Harmatys will have to miss the next game. Senior Makayla Vicneire took the penalty shot and put it by Collins for Carrabec’s second goal.